In the history of adorable makeup have you ever laid eyes on anything even more so than Clinique Cheek Pop Blush Pop blushes? Pure liquid pigment is transformed through a process of slow baking into a silky fine powder that imparts to the cheeks a translucent, perfectly pigmented flush. The shade I bought is Pink Pop, a soft, medium pink with a barely there hint of natural, healthy radiance. Clinique did a perfect job on the design of this product. The sleek, crystal clear acrylic compact is the perfect home for the exquisitely lovely daisy that is nestled within. A part of me wants all of them, in a crystal bowl on my my dressing table. How pretty would that look, I ask you? 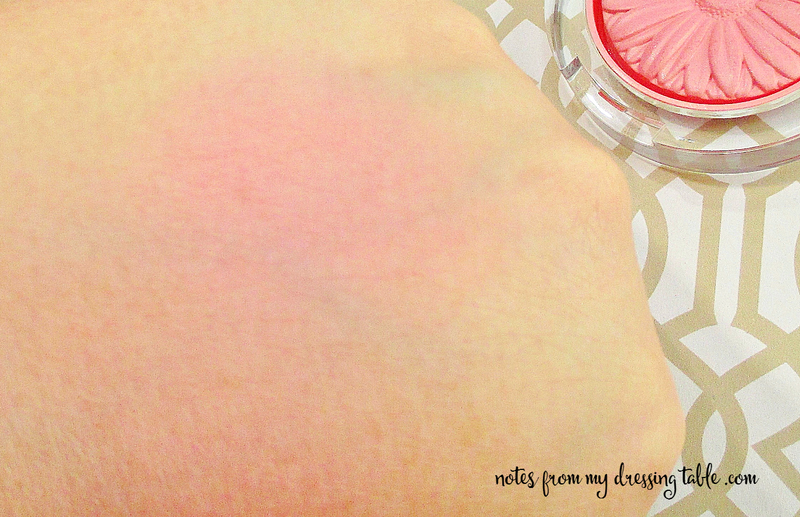 Swatched, you can see that this blush is the perfect, sweet flush of colour for the cheeks. It is pigmented enough to to show up but it isn't overpowering. I am a soft blush person. I dislike a strong blush on my face, it's a personal preference, but at the same time I demand that the blush I apply go on smoothly, blend in perfectly and wear for many hours so that I don't have to constantly look in on it and worry about touching it up. 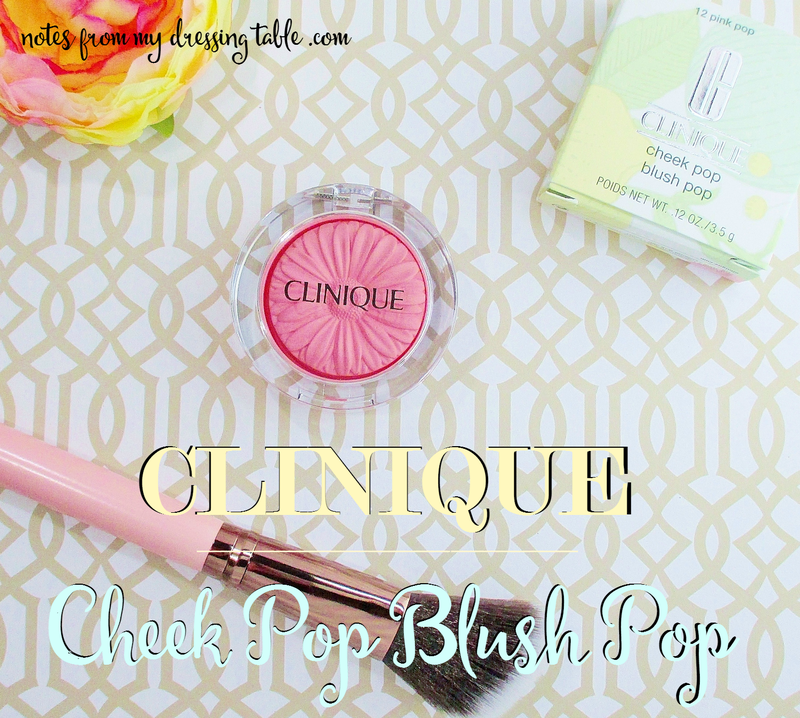 Clinique Cheep Pop touches all of those bases for me. 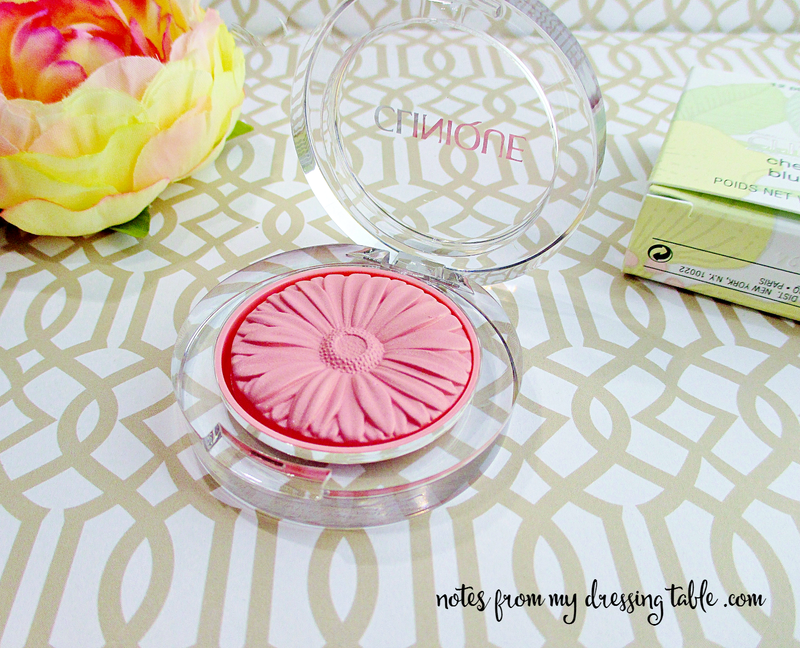 I love the Clinique Cheek Pop Blush Pop Blush. There are a couple of shades I wouldn't mind adding to my stash, in the near future. 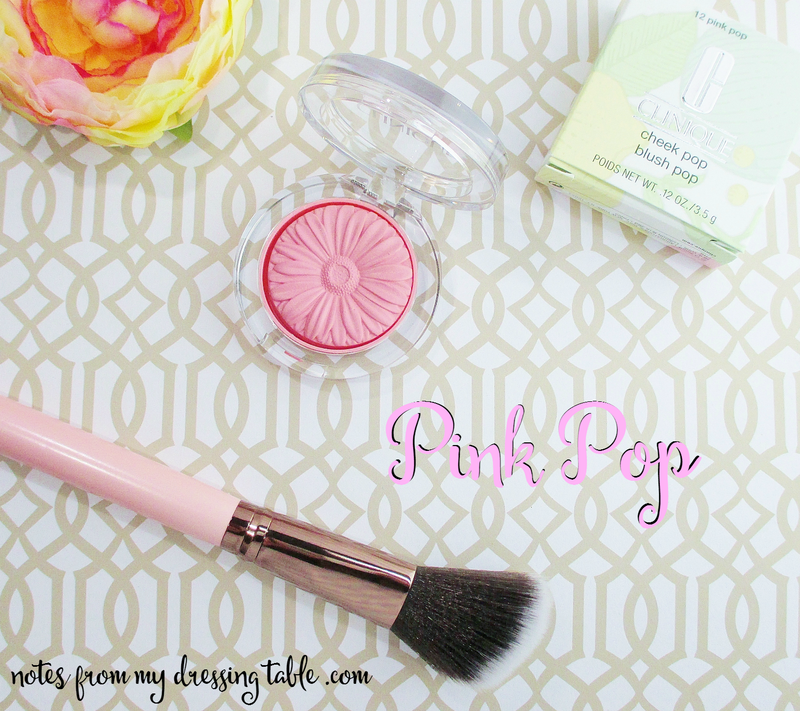 Have you picked up any of these pretty blushes? What are your favorite shades?